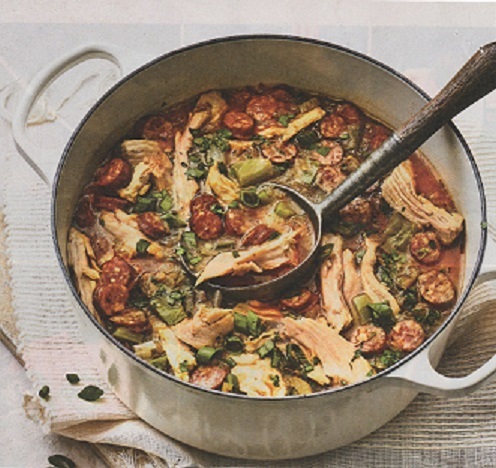 in South Louisiana, the sun had yet to lift over the Bayou Teche, but Kevin Sonnier and his teammates were ready to make a few hundred quarts of gumbo in the dark. They hauled in bags of Gold Medal flour, jugs of vegetable oil and packages of sausage and chicken. They strapped headlamps across their foreheads and allowed the “ROUX POLICE” to poke through their coolers with flashlights looking for contraband (premade roux). at once – or, here comes the World Championship Gumbo Cook-off in New Iberia, Louisiana (146 miles by car from New Orleans). “We in cook mode now,” says Sonnier. Steam rose over cauldrons that dotted the downtown park while the scrapes of whisks and spoons against gumbo pots skittered across the silence. but now the count has blossomed to more than 80 (in all those years, they’ve missed only one festival due to a hurricane). Cooks can enter as amateurs or professionals, with the pros competing in SEAFOOD or NON-SEAFOOD categories. Amateurs can choose (a) seafood, (b) chicken + sausage and (c) mélange or mixture (a wild card that could be anything from duck to gator). that’s why I don’t eat gumbo at a restaurant,” said teammate Jaime Gaither, who worked over another pot nearby. He flies helicopters into the Gulf of Mexico oil fields by day. By night – for the past three nights anyway – he has readied his stock with 10 lbs. of leg quarters, a hen and seasonings. “Everybody’s got a different idea and nobody’s wrong,” he said, spooning roux into stock. can happen so at yet another booth, Nelson Boutte, a hospitality chef, burned his first batch of roux. “I’ll be worn out for sure,” he said, vigorously stirring a second batch. By 11 a.m., the park swarmed with locals sampling the deep, earthy flavors of gumbos while Cajun bands had dancers twirling under a pavilion. the finalist teams received signs to hang on their booths. A sign means bragging rights and signals to attendees where they might want to snag a sample. Boutte’s team earned a sign despite the rocky start. But Gaither’s guys didn’t get one, even after many wins in the past. “That’s part of it,” said the team leader with a smile and shrug. NOTE: As we said earlier, New Orleans is only 146 miles from New Iberia by car, following the I-10 route – that’s two hours and 45 minutes if you drive nonstop. Why not come for a visit and stay at the Rathbone Mansions?